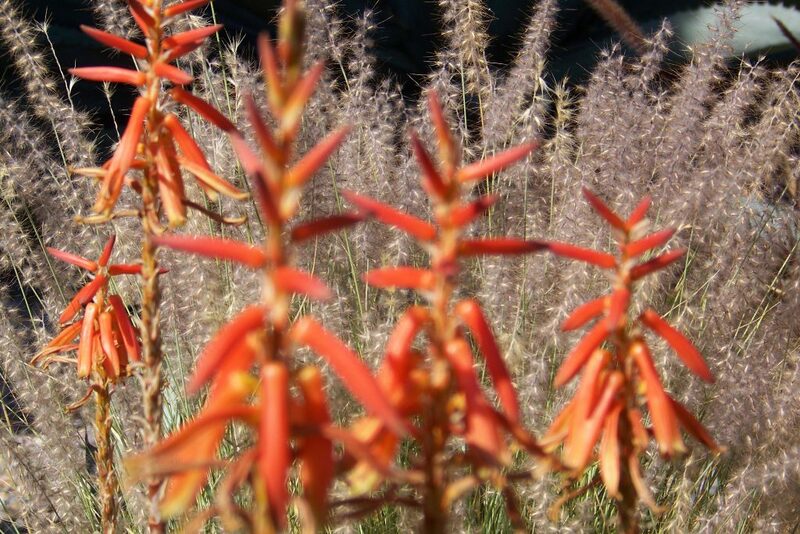 Drought tolerant plants for San Diego will continue to be a much talked about topic despite the drought being over! Here we are just 6 weeks into 2017 and after multiple rains in January, and along with a historic snow pack in the Sierras water governing officials are declaring a three year water windfall! This all seems so entirely short sided to me knowing that three years of water guzzling agriculture and thirsty landscaping will once again impact our water use for all the future generations of San Diegans. 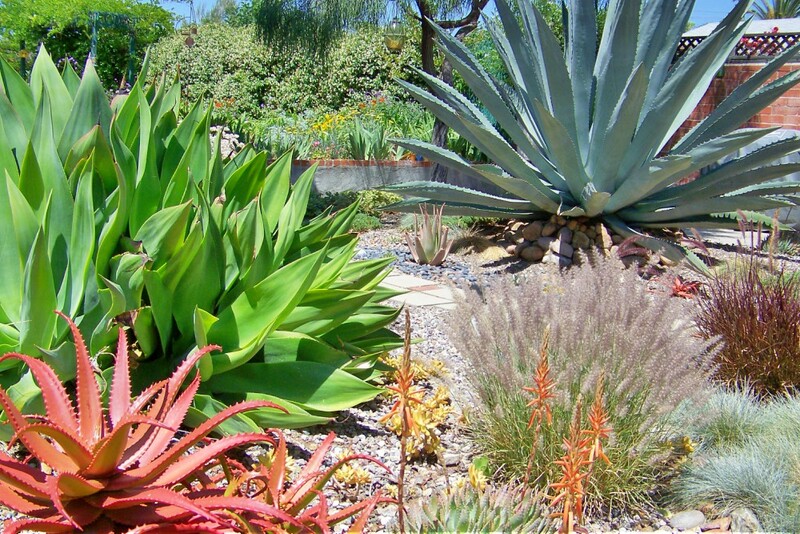 Fortunately, I can sense that most eco conscious homeowners are still very likely to continue using drought tolerant plants for San Diego gardens. And despite the availability of water, the cost of water will still continue to climb. Look at Poway’s recent drought surcharge tacked on to residential water bills, an initial increase of 7.75%. With these certain economics, everyone has to take notice and make changes in their own outdoor spaces. 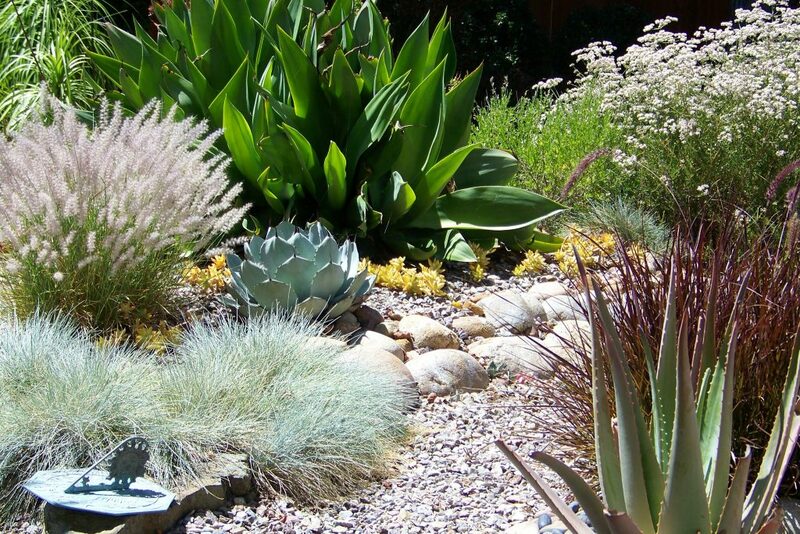 The xeriscape movement has taken hold in San Diego; in nearly every neighborhood one can find both good and bad examples of these landscape retrofits. The bad ones are the “dyi” attempts to put down all gravel and toss in a few plants, still using Bird of Paradise and Pigmy Date Palms. The great ones have a strong sense of design, interesting textures, and year around color and offer a value to the home it graces. The basis of these dry landscapes are the plant materials themselves. The front yard is most often the area treated because everyone knows that putting water on turf in your front yard is no longer politically correct. So, based on my own experience I’ll mention a variety of drought tolerant plans for San Diego. And as you can see from the photo above, this was not an overly dry looking expanse. So depending on the look you like…..some appreciate more boulders and stone while others want a garden that is still lush, it can be achieved. And again, these were all plants WITHOUT irrigation that thrived.